This annual wildflower, native to California, can be found all throughout the United States. It has a very low growing, spreading habit and makes a great groundcover. 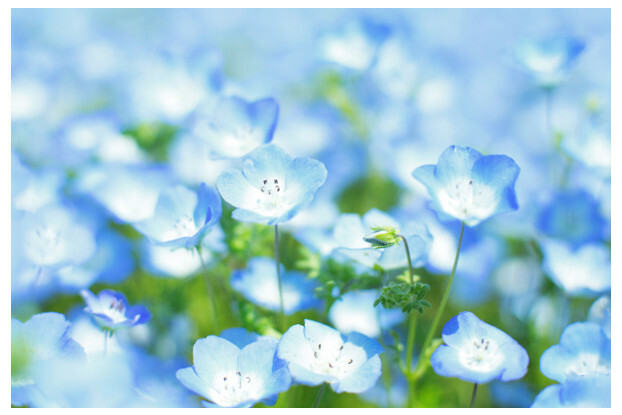 Like its name implies, Baby Blue Eyes produces tiny, light blue flowers which bloom from spring until the heat of summer. It prefers full sun and tolerates a wide range of soil types. It rarely gets over a foot tall. This flower is perfect for use in borders, containers, and wildflower mixes.